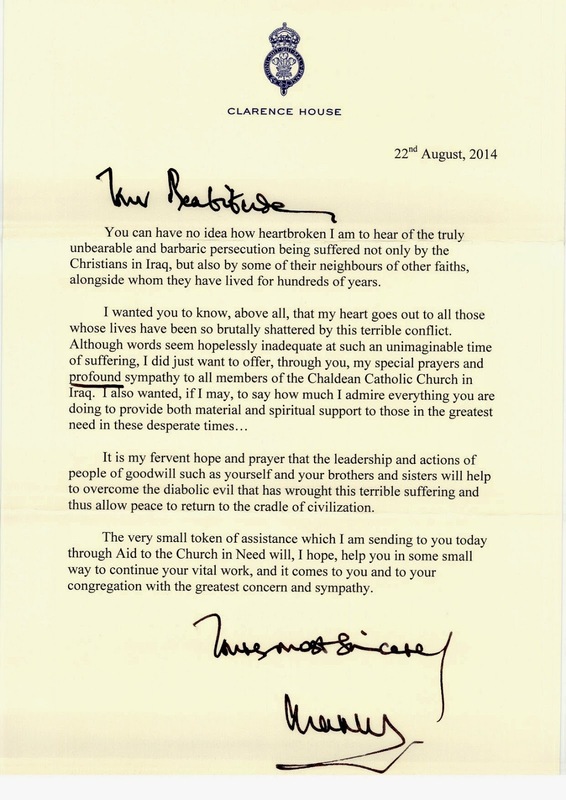 Prince Charles, the Prince of Wales, recently wrote Chaldean Catholic Patriarch Raphael Sako of Baghdad in order to show support for Christians and members of other faiths suffering barbaric persecution at the hands of Caliphate Jihadists operating under the banner of ISIS, ISIL or the "Islamic State". 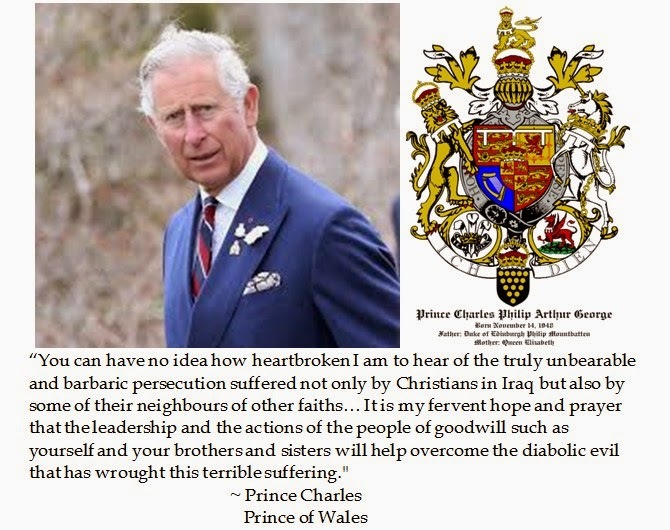 But this was not the first time that the Crown Prince of the United Kingdom has spoken out against the persecution of Christians by Islamists in the Middle East. He spoke out about the dwindling number of Christians in the birthplace of Christianity in December, 2013. Alas, ISIS rampage in Iraq against Christians, Yazidis and even Shiite Muslims who do not believe the same way that these radical Islamists see the world have created enormous turmoil and suffering. Labels: Catholic, Chaldean, Christianity, Concept Video, Faith, Islamists, Patriarch Louis Raphael Sako, Prince Charles, Quotes, Religious Freedom, T.R.O.P. Faithful Simile for Constitution Day?